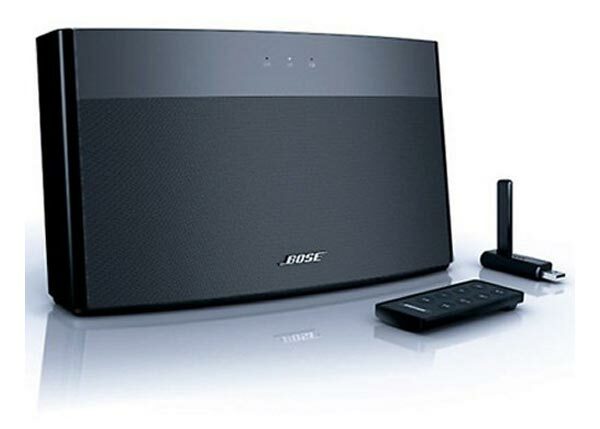 Bose has added another speaker system to their range with the launch of the Bose SoundLink Wireless USB Speaker System. The Bose SoundLink Wireless USB Speaker System is a network audio streamer for the PC and Mac, and it is very easy to setup with no software required. All you need to do is plug the USB key into your PC or Mac and then select your music from iTunes or any other music source and the music can be streamed directly to the SoundLink. The Bose SoundLink Wireless USB Speaker System comes with a built in rechargeable Li-ion battery which will give you up to 3 hours of music playback at full volume.